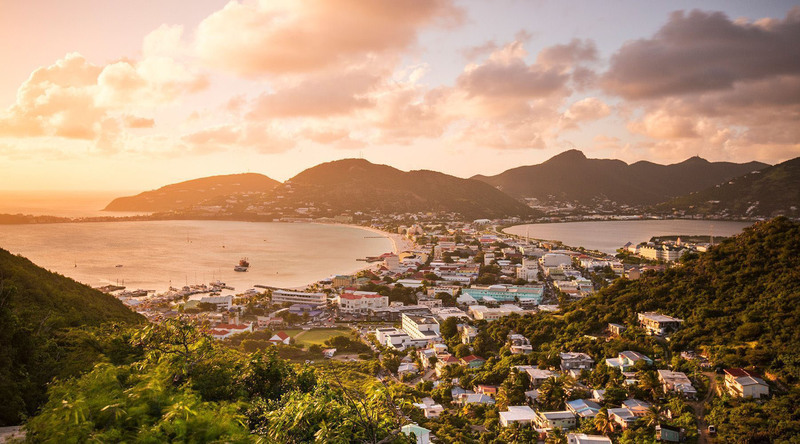 The Dutch-owned St. Maarten is a lively counterpart to its French-owned neighbor of the same name to the north. The capital Philipsburg offers lively nightlife, luxury and duty-free shopping, and entertainment options, not to mention it’s hard to get lost—just one mile of colorful Creole houses long and four streets deep, it is easy to explore. It is also a place where you may find yourself on the brink of an adventure you have long imagined. Find lady luck at one of the 13 casinos, or stroll along the boardwalk to gaze at the luxury yachts that dot the harbor. And if you’re transfixed by those gutsy mariners sailing for glory in the America’s Cup, charter a yacht of your own and take to the high seas. Or if you’re thrilled by the stories of divers but intimidated by SCUBA, try SNUBA and float carefree, tethered to the surface by a long hose and an ample supply of air. You’ll be rewarded with warm waters, a rainbow of tropical reef fish, sunken wrecks, and tall tales of your own to take home with you. Paradise Peak is in the middle of the St. Martin. At an elevation of 1,400 feet the observation points offer great views of the island and the surrounding blue waters of the Caribbean. The St. Martin Museum relates the history of the island dating back 4,000 years to the Arawak Indians. Through artifacts and exhibits the museum covers the arrival of the Europeans and the development of the plantations under slave labor. Dennis Conner's America's Cup winning Stars & Stripes, Canada II and True North are yours for this once in a lifetime adventure as a crew member in a sailing race. Grind a winch, trim a sail, punch a stopwatch, or just sit back, relax, and enjoy the complimentary refreshments. For this unique adventure, previous sailing experience is not necessary!